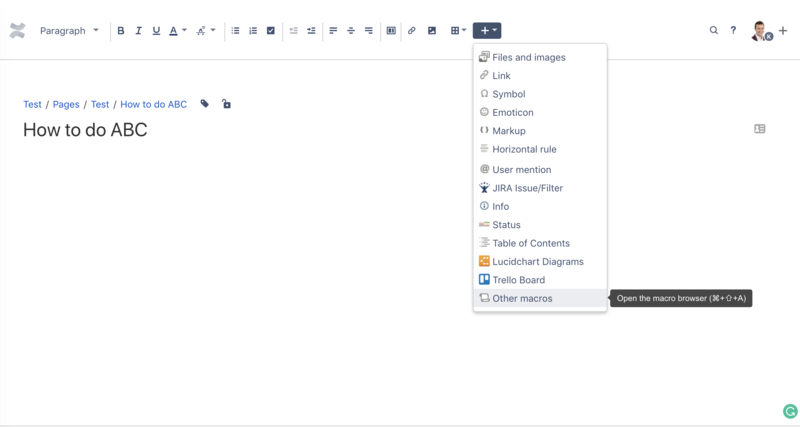 You can easily embed Elements diagrams, Org Models, Ref Models, and any other Elements page in Confluence articles. 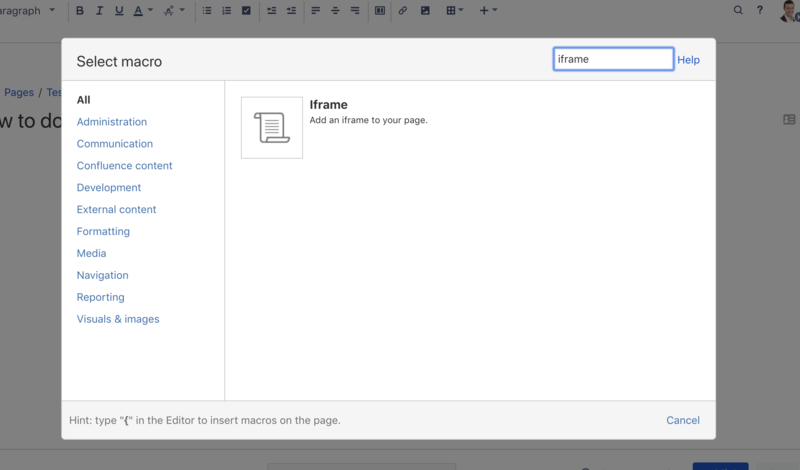 Select an article page in your Confluence space, turn to edit mode, select "Insert more content" (the + at the right end of the toolbar) and choose "Other macros". Search for iframes and select an iframe macro. Provide a URL of your process (or URL for another page in Elements, like your Org Model) and specify width & height of the iframe (numerical input in pixels). Once you've done that just save the iframe macro setting and click to publish the article. The Elements diagram will be displayed in the iframe. Since it is an iframe users still will have to be a Elements user login and be given access to the process content. If they are not logged in they can login from the iframe. 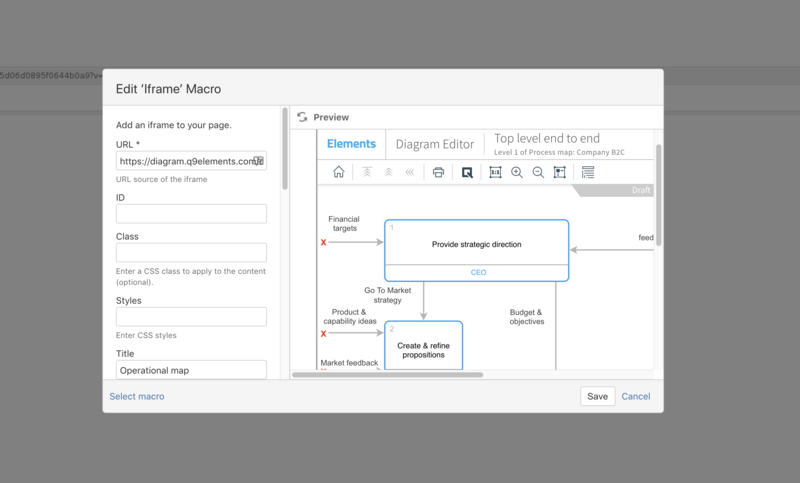 Users will be able to navigate across the process map in that iframe. But whenever the page is refreshed or re-opened by any user the provided URL (e.g. 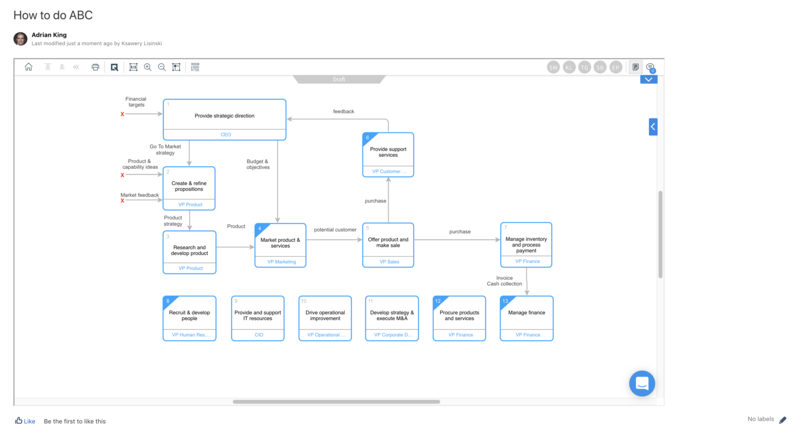 process diagram) will be the default starting screen.